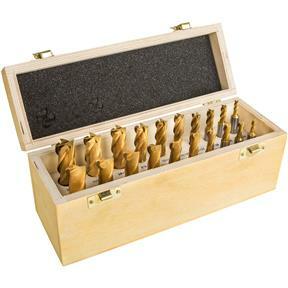 This 20-piece set of HSS end mills features long-life titanium nitride coatings. 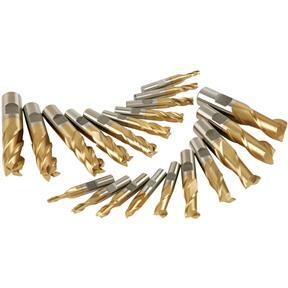 Premium end mill set includes the following sizes in two and four flute styles: 3/16", 1/4", 5/16", 3/8", 7/16", 1/2", 9/16", 5/8", 11/16", 3/4". Includes storage case.